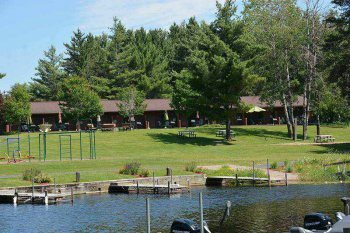 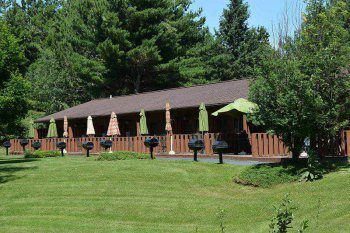 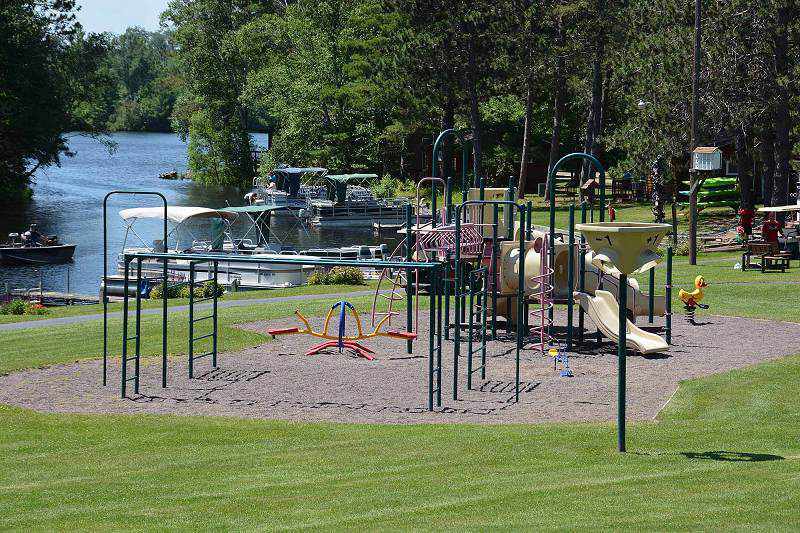 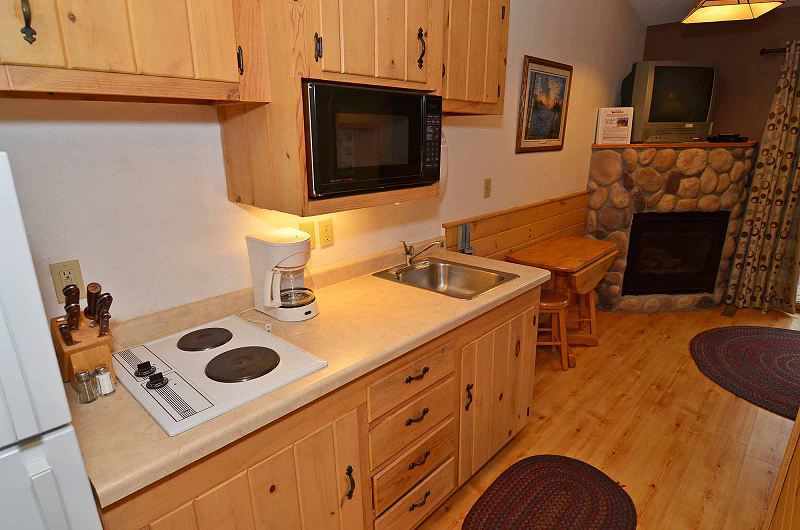 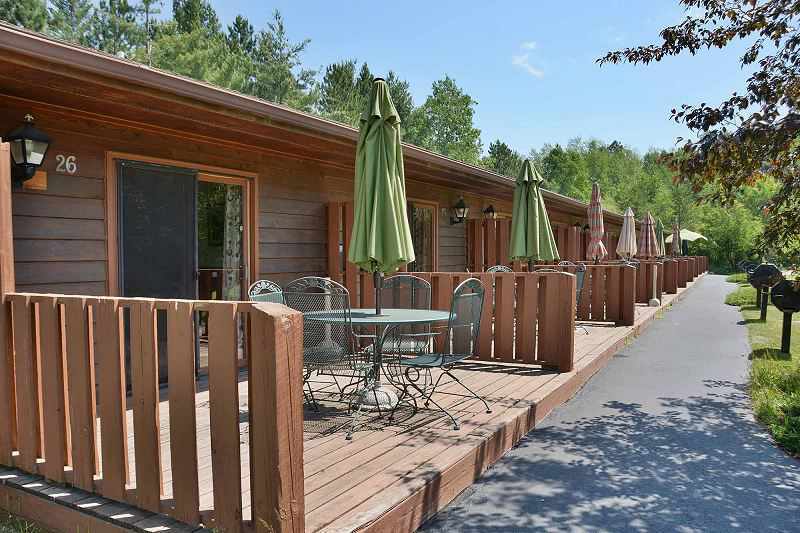 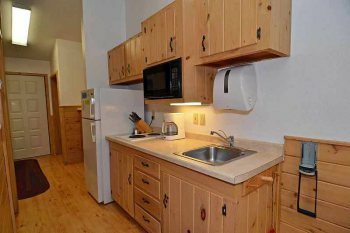 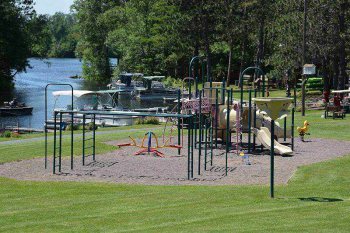 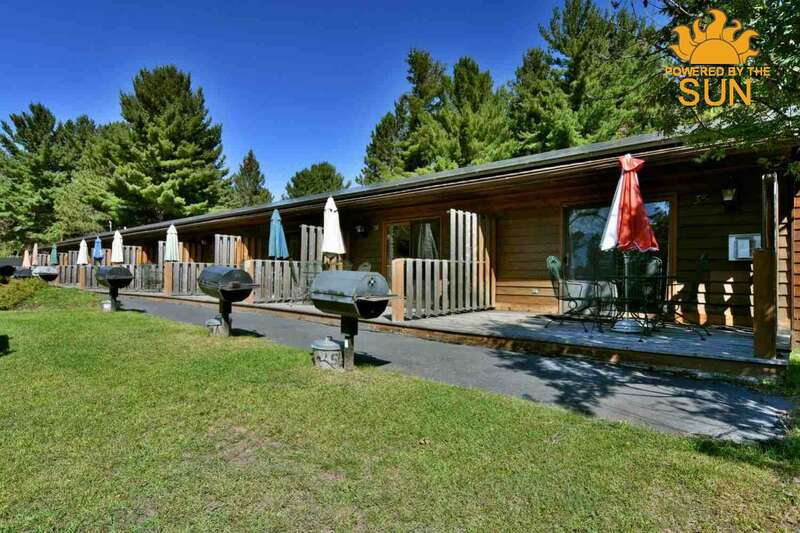 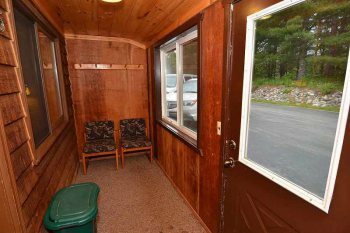 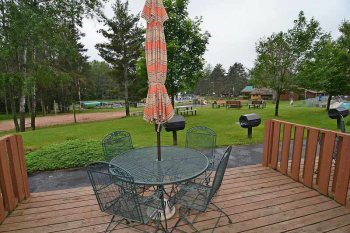 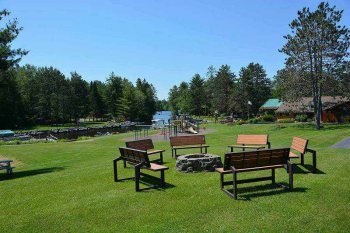 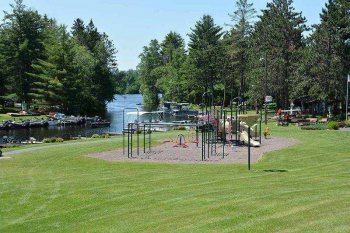 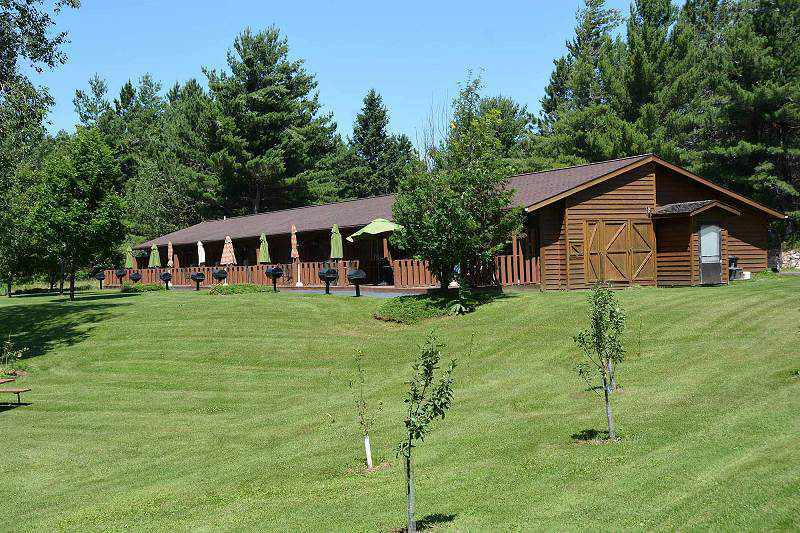 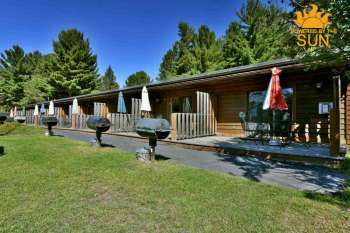 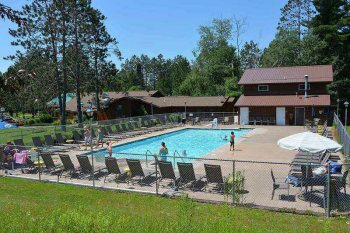 Each motel unit has a porch on the non-lake side for all of your gear – they also boast vaulted ceilings, pine walls, wooden floors and spacious baths. As you enter from the porch into the bedroom area you'll see a queen bed, closet and wardrobe. Continue into a hallway where there is a full kitchen with refrigerator/freezer, 2 burner electric stove top, full size microwave, coffeemaker, toaster, pots, pans, utensils and service for 4. Dish soap and all kitchen lines are supplied. 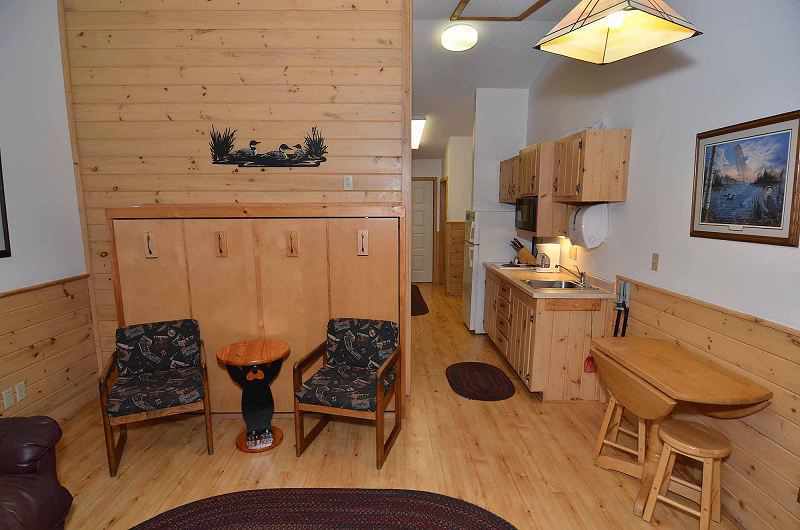 Your full bath has a tub, large vanity and stool. 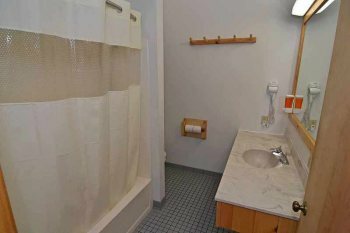 All personal bath towels are provided and refreshed as needed. 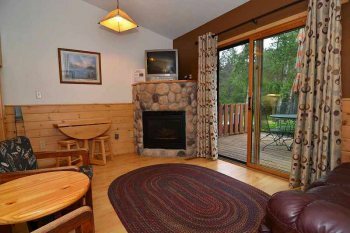 The living room has a large patio door looking out over the harbor into Musky Bay. 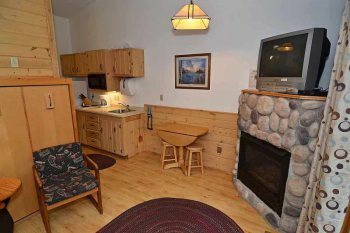 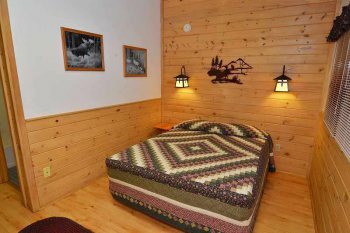 There is also a gas log fireplace, flat screen HD TVs, with 100+ channels Dish Network TV, 2 glider rockers, and a double Murphy bed, which can sleep an additional two. 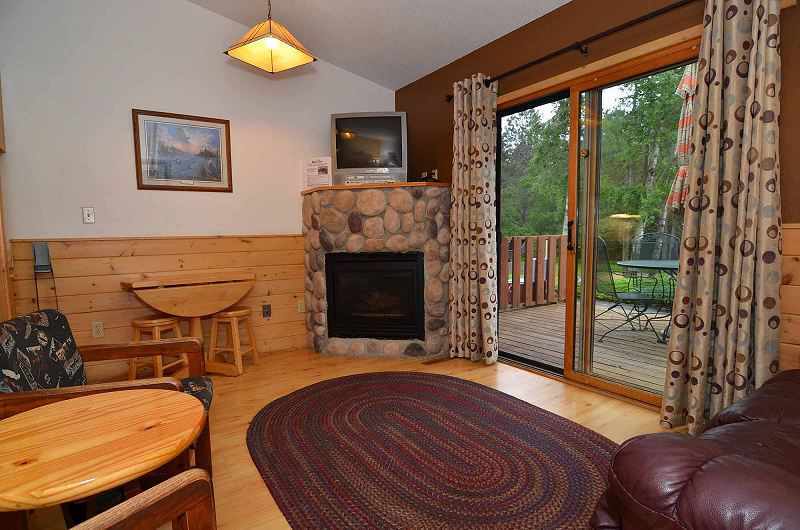 A patio door from the living room goes onto your own deck. 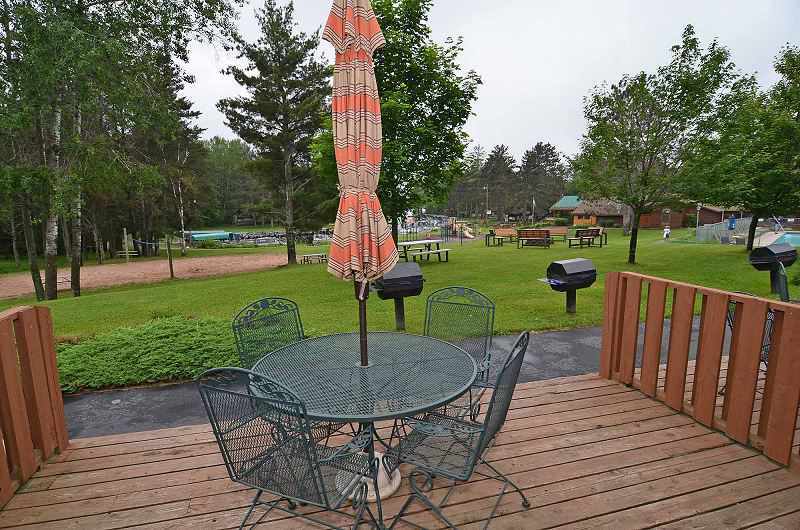 The deck has a wrought iron patio set for four and a hooded charcoal grill for each unit. This unit is handicap accessible with an ADA compliant bathroom.